Guacamole Nutrition Facts – Are they good for you? 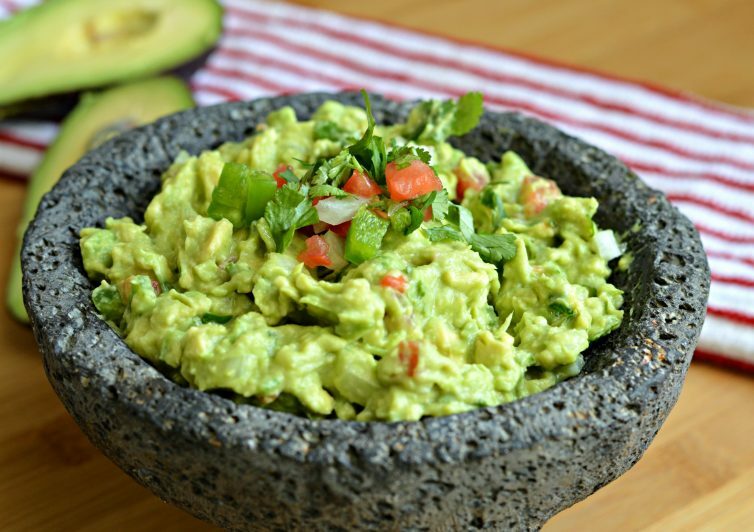 Comparing to the so called traditional salsa, it is observed that guacamole would ask for a really adventurous palate. This is perceived on its texture and as well as its different green appearance. There are times when people raise their eyebrows with this. However, it should not be underestimated because it comes with a great amount of nutrients. These are always found in Guacamole nutrition facts. The said nutrition will never be found on whatever processed alternative there is. One good example of which is mayonnaise. With this said, it may be advisable to really comprehend the nutritional profile of this guacamole. This is ideal as an efficient part of a diet plan. It may work that way. What is the common ingredient of guacamole? First of all, it goes with an avocado fruit. This is one. This is the reason for its color. There are times when the other ingredients may differ or vary. However, the most common one is that it comes with garlic, Serrano chilies, lime juice, white onion, tomato and as well as salt. All of these are found in Guacamole. As for the fats, upon looking at it initially, the fat content of this Guacamole may be pretty surprising. This comes with 15 grams of the whole fat for every half cup serving. The question may be – how did this even become possible when it is only coming with vegetables, fruits and a little bit of spice? How can it have so much fat in it? The answer may be pointed down to the presence of avocados. For every serving of avocado, there is like a one-fifth of the whole avocado fruit. This goes with 4.5 grams. The number may be quite high, that is true. However, it has to be kept in mind that the fat may come with a healthy property too – this is the case with monounsaturated fats. These are healthy. Another important fact is that Guacamole is rich in fiber and carbohydrates. There is 12 grams of carbohydrates seen in a half cup serving of it. But then, for those who are conscious about their carb intake, considering the dietary features of Guacamole may be useful enough. Calculating the net carb is the answer here. It should not be forgotten that this has the ability to increase the blood sugar of the person who consumes it. As a matter of fact, Guacamole has 8 grams of fiber. This is always being served. As for the calorie content, a large number of it may also be expected in the food. This happens because of the energy it may be derived from its fats. Since it has been mentioned that the guacamole will be a relevant origin of fats, this will be associated with the high amount of calories it comes along with. There is an approximate 170 calories seen in it. Vitamins may also be consumed eventually. There may also be minerals such as potassium and the like. Previous Previous post: Sickle Cell Anemia Facts – A disease to be worried about?